We have been advertising the York Science Fellows program, which was established thanks to a generous gift from Jim and Marilyn Simons. Please share the call with your colleagues at other institutions. On November 2, we hosted our second York Science Forum “Hacking the Genome: The Brave New World of Gene Editing”. 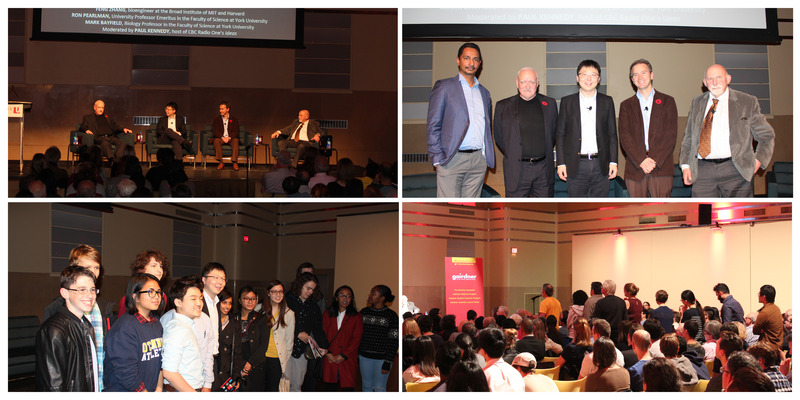 The sold-out event, moderated by CBC Ideas host Paul Kennedy, featured a keynote address by bioengineer Feng Zhang from MIT followed by a panel discussion with Mark Bayfield and Ron Pearlman (Biology). 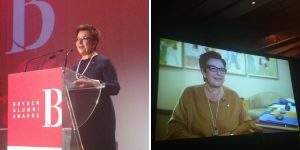 York Science alumna Dr. Catherine Zahn, neurologist and CEO of the Centre for Addiction and Mental Health (CAMH), received the Outstanding Achievement Award at the Bryden Alumni Awards ceremony held on November 24 at the Royal Ontario Museum. 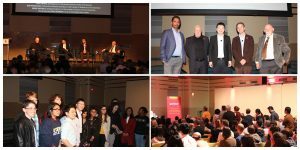 In partnership with the Toronto Public Library, we hosted The Fascinating (and Sometimes Scary) World of Infectious Diseases public talk series at library branches across the city. We received positive comments from library staff about the overall high turnout and engagement. Thank you to our speakers: Kathi Hudak (Biology), Hanna Jankowski (Math), Dasantila Golemi-Kotra (Biology), Jean-Paul Paluzzi (Biology) and Gerald Audette (Chemistry). Jianhong Wu (Mathematics & Statistics), who received a Doctor Honoris Causa degree from the University of Szeged in Hungary. Vivian Saridakis (Biology) for receiving a grant from the Cancer Research Society to explore the role of ubiquitin specific protease 7 in cancer. PhD graduate Martino Lupini (supervised by Ilijas Farah, Mathematics & Statistics), who was awarded the Sacks Prize by the Association for Symbolic Logic for the most outstanding doctoral dissertation in mathematical logic. Jan Sapp (Biology) authored a new book titled Coexistence: The Ecology and Evolution of Tropical Biodiversity. Amro Zayed (Biology) authored a News & Views article about insect invasions and natural selection in Nature. Laurence Packer’s (Biology) book Bees: An Up-Close Look at Pollinators Around the World is now translated into German and Dutch. YFile profiled Gerald Audette (Chemistry) in the Open Your Mind series. Paula Wilson (Biology) was invited to present a workshop titled “Thinking About Thinking: Building Metacognition in First Year Biology” at Pearson Canada’s Biology Leadership Forum. Vivian Saridakis (Biology) was the scientific representative of the Cancer Research Society at an event called Read for the Cure. Chris Lortie (Biology) organized a mini-symposium on R as a problem-solving tool in science. The event highlighted the coding and statistical expertise within the department, and more than 30 people attended. Amro Zayed (Biology) and his PhD student Brock Harpur sequenced the genome of the highly invasive Africanized honeybee in collaboration with researchers from Brazil. Ron Pearlman (Biology) participated on a panel about CRISPR on TVO’s The Agenda with Steve Paikin. Amro Zayed (Biology) commented in The Globe and Mail about new research from Western University on the genetics behind social organization in honeybees. Paul Delaney (Physics & Astronomy) was interviewed by Global TV and CTV about the recent Supermoon, Stephen Hawking’s comments on colonizing other planets, and the GOES-R satellitel launch. 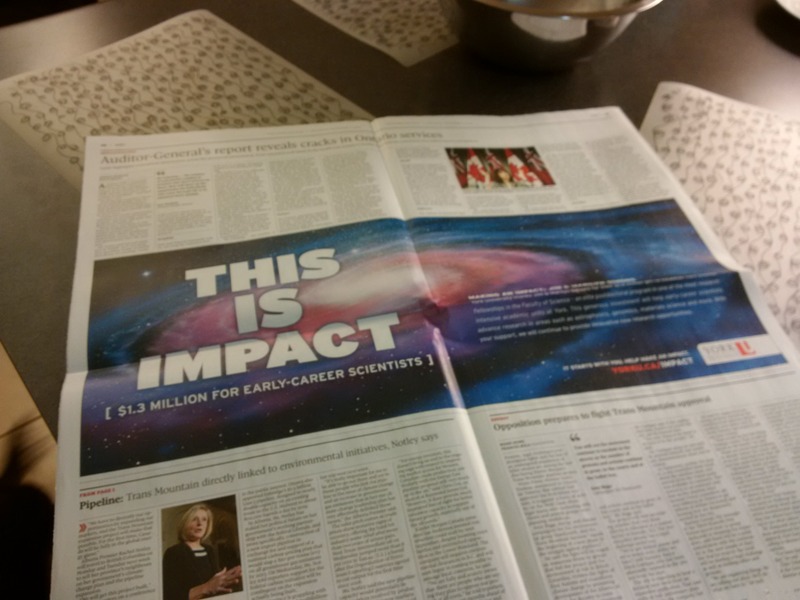 Norman Yan (Biology), Sapna Sharma (Biology), Matthew Johnson (Physics & Astronomy) and Edward Jones-Imhotep (Science & Technology Studies) were profiled in the fall 2016 York U Magazine. Dec 7: Media Workshop for Researchers, hosted by the Faculty of Science. Filled to capacity. Dec 7: High school physics teachers’ night.